Thieves and roguish characters require knives that can act as both a handheld and thrown weapon, which is why the Cutthroat LARP Knife Leather Holder is perfect for them! 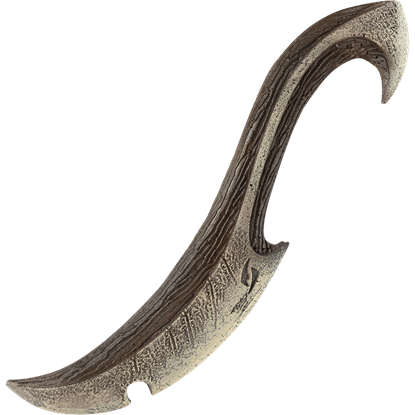 With it, they can carry a multi-function LARP blade! 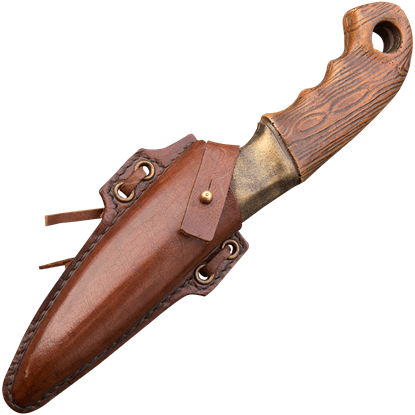 This handmade leather sheath is made from high-quality, full-grain leather and is designed for angular, throwing knife style blades such as the Cutthroat LARP Throwing Knife (MCI-31557). 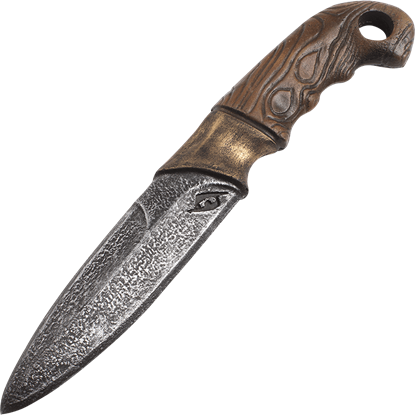 A strap and button fastening holds the knife in the sheath, which can be attached to your belt via leather straps. 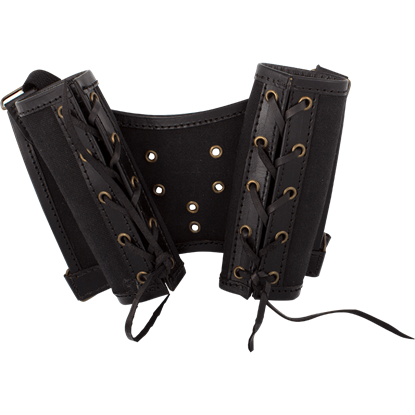 This allows you to wear the sheath in a manner that best befits your LARP character! 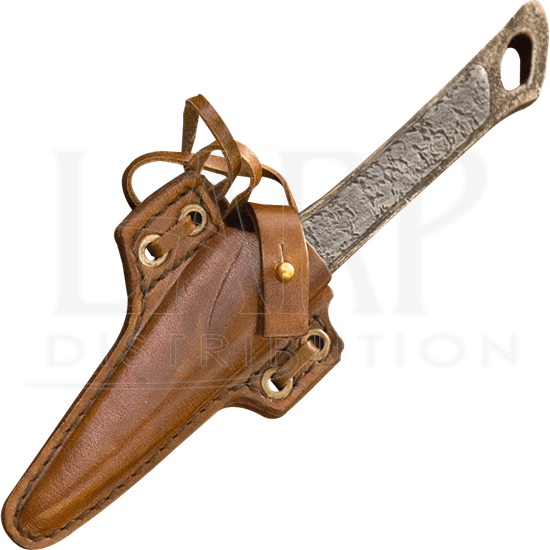 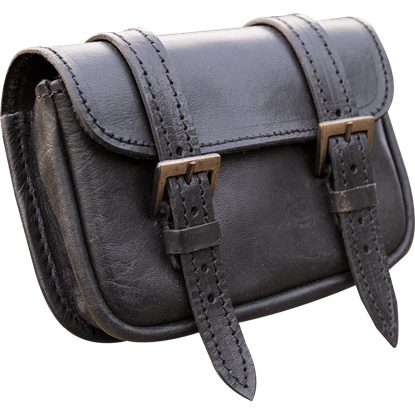 Available in both black and brown leather, this incredible leather LARP sheath will add a touch of versatility when you add it to your outfit!